Palms are a landscape staple in warm, temperate climates worldwide. But these stunning and statement-making plants are large, expensive, and difficult to install, resulting in unique design challenges. 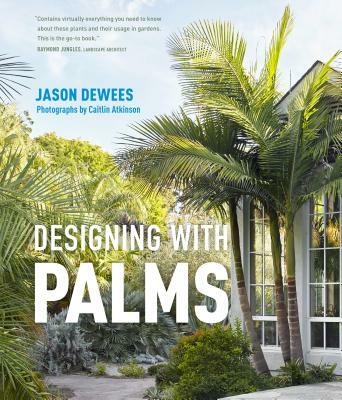 In Designing with Palms, palm expert Jason Dewees details every major aspect of designing and caring for palms. This definitive guide shares essential information on planting, irrigation, nutrition, pruning, and transplanting. A gallery of the most important species showcases the range of options available, and stunning photographs by Caitlin Atkinson spotlight examples of home and public landscapes that make excellent use of palms. Jason Dewees is the staff horticulturist at Flora Grubb Gardens and East West Trees in San Francisco. Responsible for the Tree Canopy Succession Plan for the San Francisco Botanical Garden, he serves on the Horticultural Advisory Committee for the San Francisco Botanical Garden, and on The San Francisco Conservatory of Flowers Advisory Council.